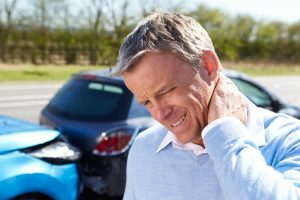 Often times, when patients are in a car or work accident and experience neck or back injuries, they wait for the injury to heal over time. In reality, the injury could last months to years if not properly addressed and treated. We often see patients who present with pain…not realizing it could be the lasting result of an accident from 10+ years ago. If you have been in an accident that has caused whip-lash, or any level of neck or back trauma – we encourage you to seek care as soon as possible. Car accidents can be very serious events that may dramatically redirect the course of a person’s life. Whether treating immediate or long-term injuries, it is important to be aware of the No Fault Insurance coverage in New York State, as well as the related treatment options for those who have been through a traumatic car accident. Complete Care Chiropractic always puts the patient first and will evaluate you to decide what the best clinical course of action is. Our staff will assist you in getting the right information and allowing this treatment to work entirely for you in your pursuit of healing and wholeness. Sustaining an injury or getting hurt at work is a life-changing event that can take an immeasurable toll on a person and their family. Too often we see people from every social or cultural strata struggle as work-related injuries relentlessly take hold of their lives. We treat all manners of injuries through Workers Comp Insurance and find that while we can help heal and resolve these issues, we also give our patients hope for their futures as they strive to recapture the wellness that was theirs before they were injured. There are guidelines that dictate the treatment and its duration that Complete Care Chiropractic is well versed in and scrupulously supports. Our staff will walk you through each step carefully and guide you through the Workers Comp process from start to finish as we treat your injury. We love seeing our patients get back to work as soon as possible, and find great satisfaction in the knowledge that our treatment has helped them return to the work force. We have helped many people find their way back to their lives and recapture their quality of life which is so important in today’s world. If you have been in an accident, please contact us for an appointment today.